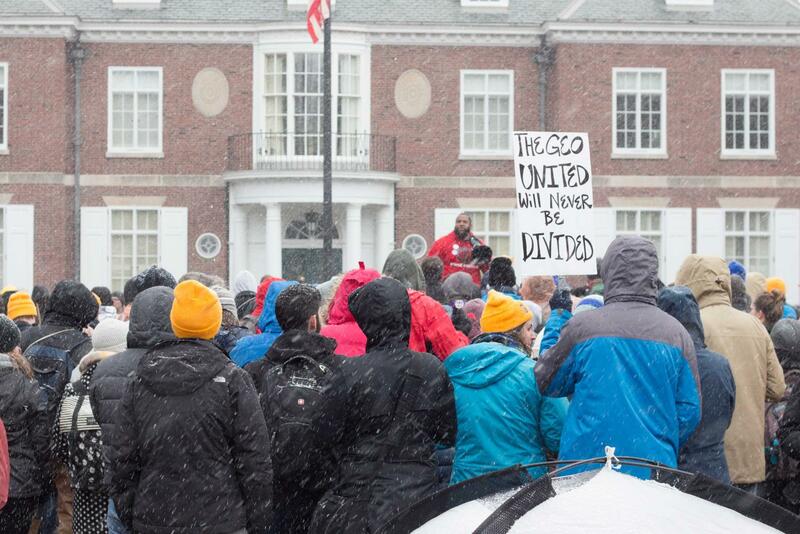 Members of the GEO rally in front of University President Killeen’s house on March 6. 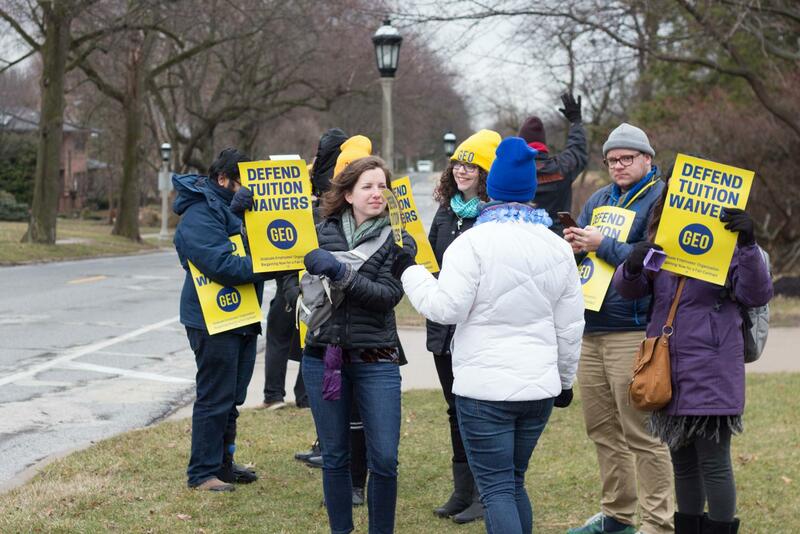 Members of the GEO rally in front of University President Kileen’s house on March 6. 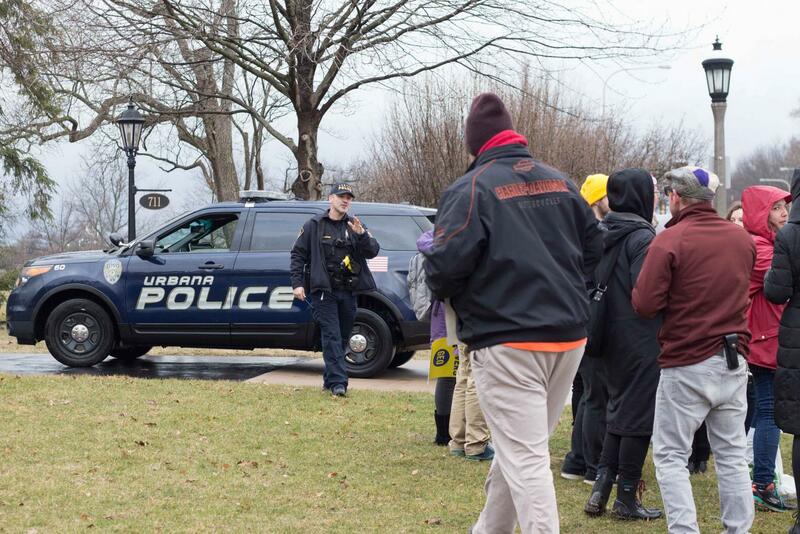 Members of the GEO rally in front of University President Killeen’s house as an Urbana police officer arrives on March 6. 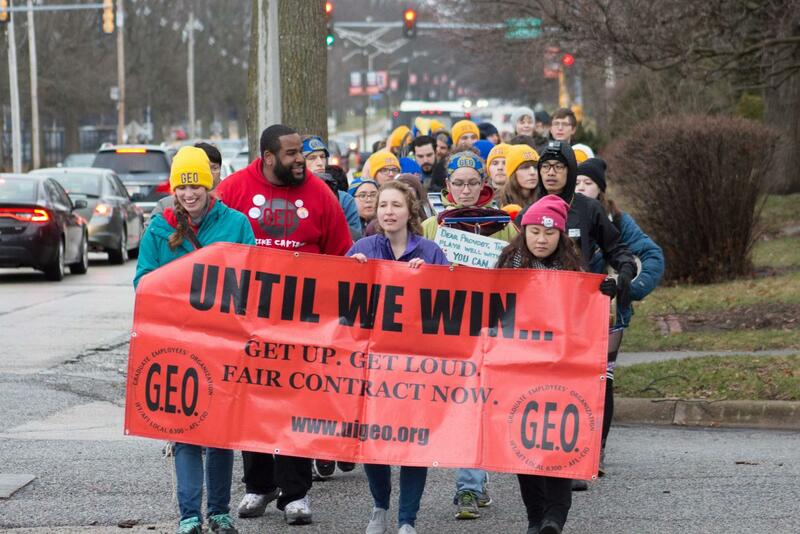 Members of the GEO march toward University President Killeen’s house along Florida Avenue on March 6. 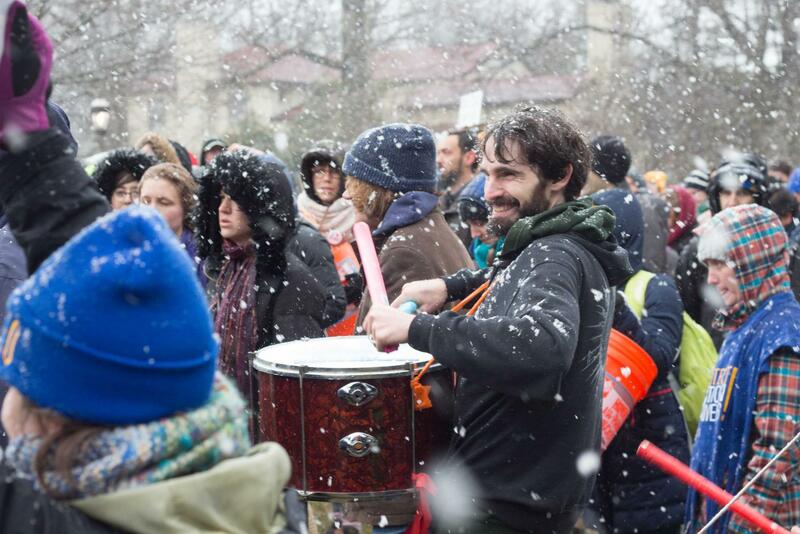 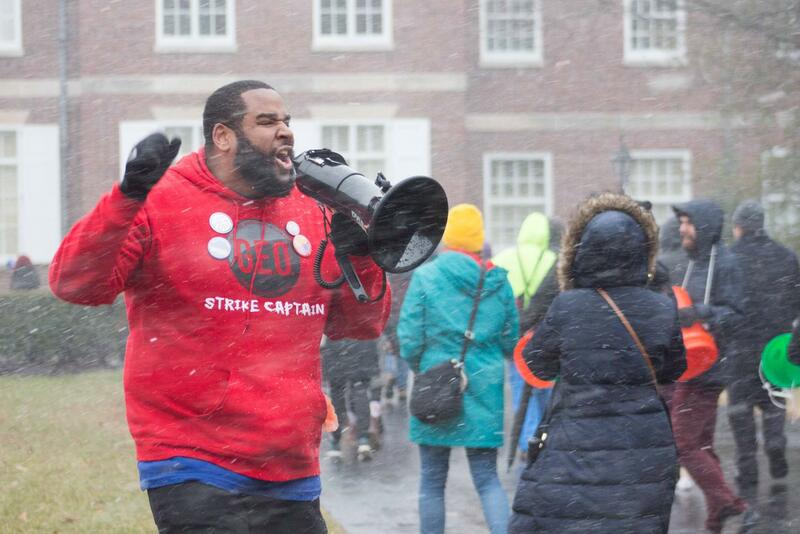 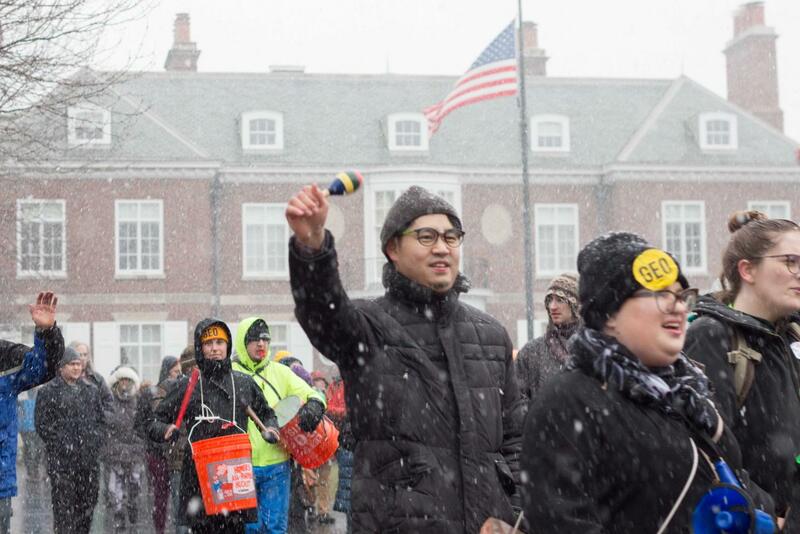 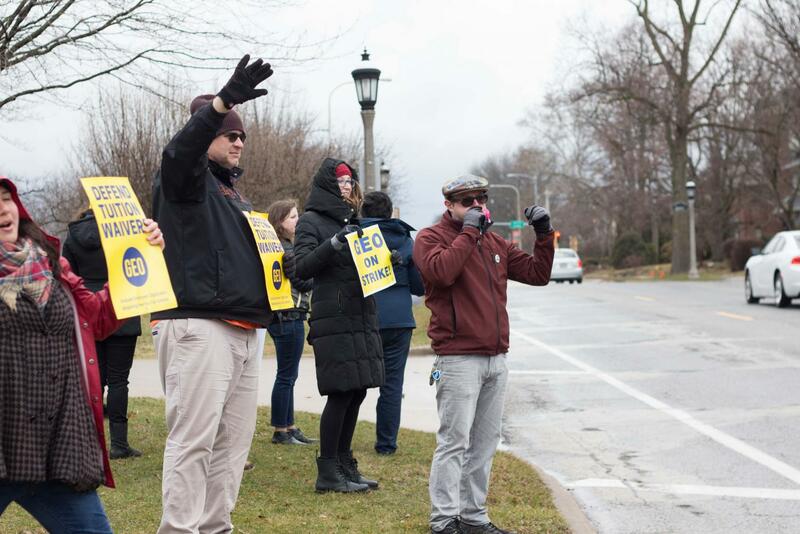 GEO co-president Augustus Wood shouts into a bullhorn while GEO members march along University President Killeen’s lawn on March 6. 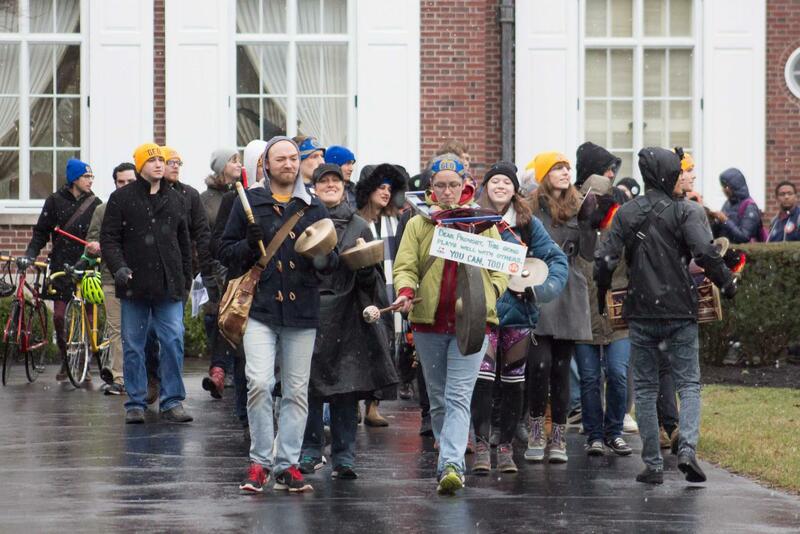 Members of the GEO march along University President Killeen’s driveway on March 6. 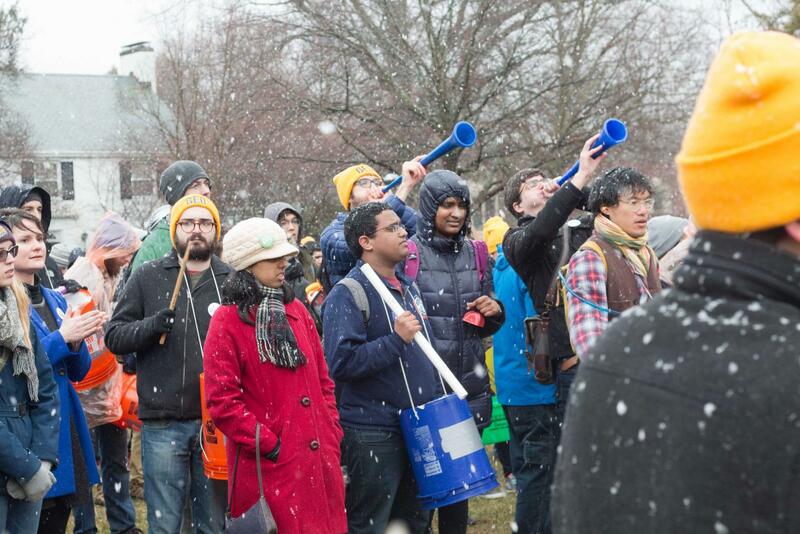 Members of the GEO rally on University President Killeen’s front lawn on March 6.